If you’ve been following this site for a while, you probably know by now that I have an aversion to computers. It wasn’t always like that, but once I got used to typing on an iPhone and iPad, I could never go back to being chained to a desk. I still use a PC when I have to, but with an endless backlog of games on my iDevices, I don’t see any reason to force myself to game on a PC. 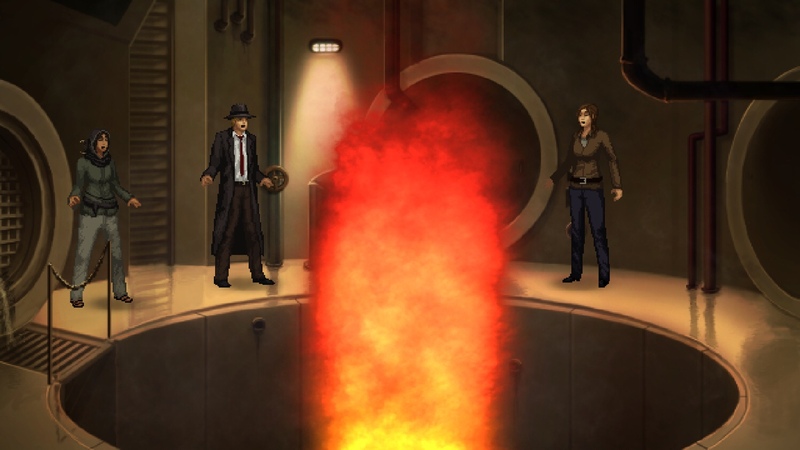 And that probably wouldn’t have changed much except for the fact that I played the demo of Wadjet Eye’s Unavowed last year at the PlayNYC conference. That thirty minute teaser was the beginning of the game and had several jaw-dropping moments that made me eager to play the rest of it right there and then. I knew it wasn’t coming to iOS, at least not anytime soon. But since a year already passed by the time it was releasing on PC, I figured I could keep waiting until I can play on my iPad. That was, until launch day. Knowing it was available and I couldn’t play it, I was suddenly struck by the urge to shop for a laptop/tablet hybrid and see if I could recreate the experience of playing on an iPad. And so that’s what I did. And I’m so glad I did. I wish the game had that same demo available to everyone, because then I could just tell you to download it and have the game sell itself. I’m a bit hesitant to talk about the opening scenes before you’ve played it, as it’s so much more effective if you go in knowing nothing. But let’s try it. It starts on a rooftop in New York City, during what seems to be an endless rain storm. Someone’s yelling at you to tell them your gender, name, and one of three professions. If you refuse, you get hit with lightning. They’re not messing around! You then play through a flashback that takes place a year ago, with the scene being completely different depending on whether you chose to be an actor, cop, or bartender. In each situation, you’re dealing with people acting out of character, but still, nothing too crazy at first. Then all hell breaks loose and you’re back on the rooftop to learn what’s going on. 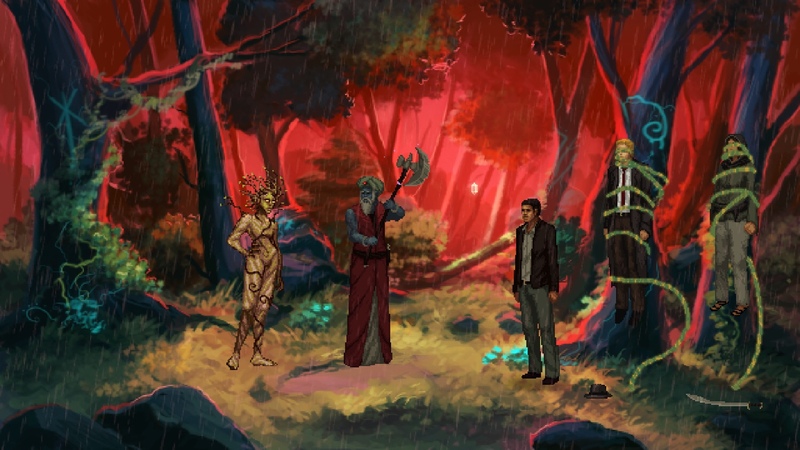 It turns out these folks are members of a centuries-old group called the Unavowed and they ask you to join them. They deal with supernatural occurrences in NYC and there’s been an increase recently, so they need all the help they can get. From here, each day starts with a recap of the previous day’s events and learning more about your companions. You then head off to deal with a report of a new supernatural threat somewhere in NYC. Each mission is self-contained, so you stay in one area until you’ve completed it. So you might have to investigate a fire in the East Village, a number of strange deaths in Staten Island, or a haunted house in the Bronx. As a native New Yorker, I enjoyed revisiting each area and recognizing all the different landmarks, such as the Astor Place Cube and the Wall Street Charging Bull. The game feels very much like a love letter to this city. Some artistic license was taken to fit multiple landmarks close together, but I suppose you could also argue that you’re just walking farther than it seems between scenes. As someone who gave up on the first Blackwell game after getting hopelessly stuck several times, it’s saying a lot that I couldn’t put this one down. 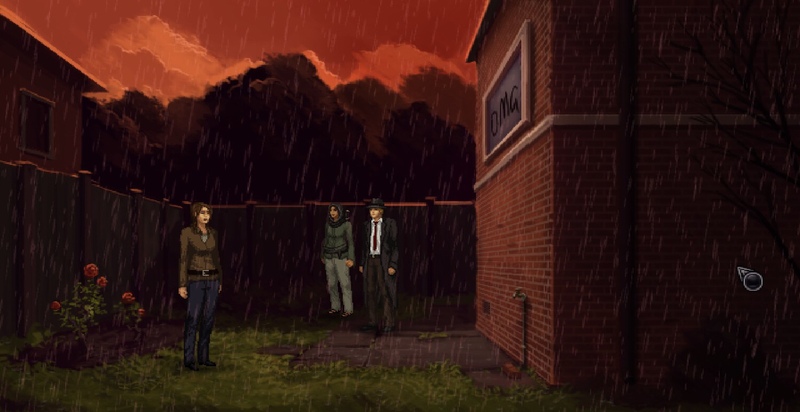 Some point-and-click veterans might be upset it’s more streamlined than Wadjet Eye’s older games, but I actually appreciated it. Each part of the story is self-contained so that any items you pick up in a neighborhood are used there and you can’t leave until you complete the mission. This is very different from Blackwell, where you have multiple locations available to you at a time and you have to figure out which one to go to next. I also liked that each chapter can be completed in about an hour, so you know when to take your breaks. It also means it would be a perfect mobile game (hint hint). That said, playing through Unavowed renewed my interest in Blackwell and I want to give it another shot now. 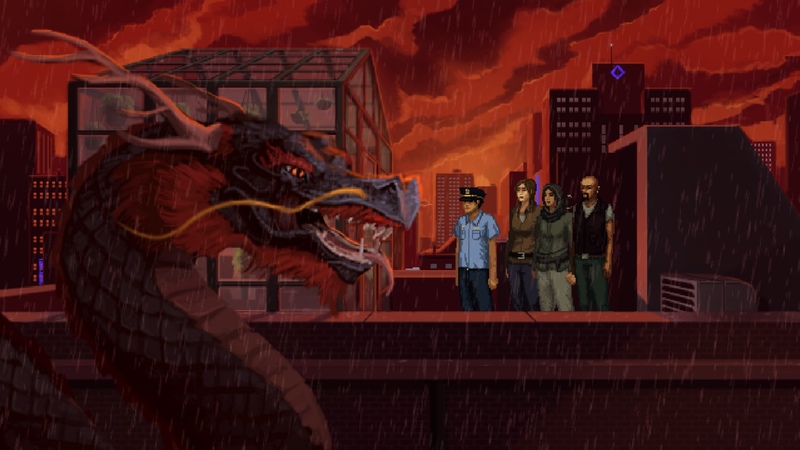 Unavowed reminded me how good Wadjet Eye is at writing characters, and I believe the two games inhabit the same universe, so I would like to get back to that one day and give it another chance. Speaking of the characters, all of them are relatable, even if the supernatural ones. They all have very human emotions. Mandana is the daughter of a Jinn and a pirate queen and it leaves her unsure about where she fits in. Eli is a fire mage who had to fake his own death to protect his family. Logan is struggling with alcoholism, which can be a problem in his line of work, but it also helps him connect with and understand other people who are hurting. You start off with two companions, but before long you’ll have four you can choose from each time you get on the subway to go to a new location. Depending on who you take with you, you’ll learn more about them. When you walk around, they chat in the background. You can either take your time and pay attention to it or ignore them and move on with what you’re doing. It reminded me of the dialogue in OXENFREE, which captured the experience of hiking in the woods and chatting with friends. It makes the characters come alive, as they exist outside your own actions. It’s a really nice touch. Your own character doesn’t have much of a personality, but that didn’t bother me one bit. The other characters were so rich and well-developed that it felt like it was more about them than about me, and I was ok with that. Each character was is fully fleshed out with a rich backstory, and the more time you spend with them, the more you learn. With perhaps the exception of Vicki, who I only took out with me once or twice, I felt like I really got to know these characters well. I understood their strengths and weaknesses, what gets them up in the morning and what makes them want to stay in bed. I loved them all for different reasons, and that made it so hard to choose which ones to leave behind. I’m not even sure who my favorite is. I want to say Mandana, but then I remember Logan and KayKay exist, and how can they not be my favorites. And I love hearing Eli’s stories, too, as well as having someone around who can throw fireballs. Perhaps I’d even come to prefer Vicki if I gave her a chance. The characters are all written so well and the perfectly-cast voice acting truly brings them to life. Not only do you bond with the characters that you take with you, but throughout the game there are puzzles that change depending which companions you brought along. Mandana’s sword skills are useful in ways Eli’s are not, and Logan has very special powers only he brings to the table. And if you play as Vicki the ex-cop, any police you meet will recognize her and be more willing to share what they know. I can’t even imagine the amount of work that went into making sure all these pieces fit together and that no scenario breaks things. The game also has a big sense of humor, which is especially apparent when it gives you an achievement for accomplishing the same task in two different ways with different characters. 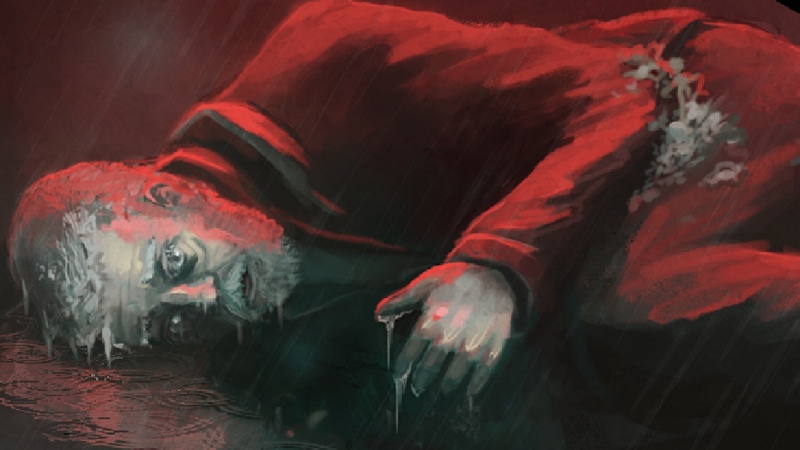 But even though there’s a lighter side to this game, it never strays too far from its heavier content, including difficult life-and-death decisions that hold weight both morally and in context of the game’s puzzles. You often have to choose whether someone’s life is worth sparing if it puts others at risk. And those choices will have consequences down the line. I’d like to mention the controls a bit, as they’re what made it so easy to play on a touchscreen. They’re streamlined, so you can play the whole game with only one mouse button or one finger, hopefully making it easy to port to mobile devices one day. You don’t have to waste time clicking on an item, then on “look” or “talk” or “pick up.” Instead, simply moving your cursor over an item will show you the description. Clicking it (or double-tapping in my case) performs the action if there’s one available. You can also right-click the mouse to highlight all available hot spots. 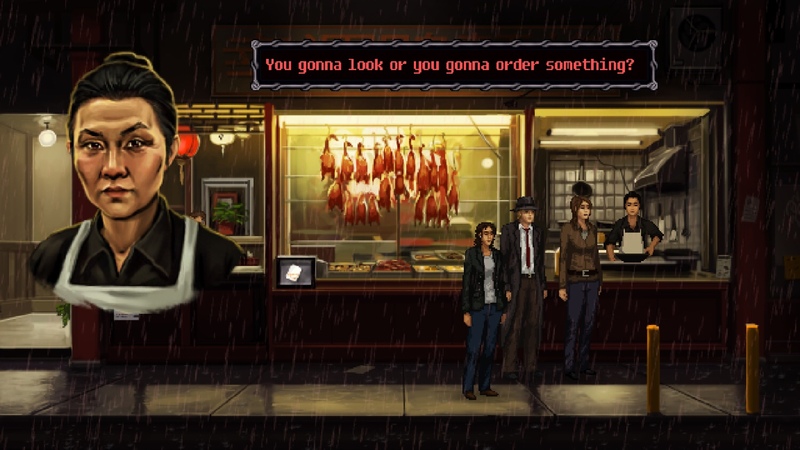 I’m a big fan of these modernized controls in point-and-click adventures, as I much rather spend my time figuring out what to do than clicking three times just to pick something up. 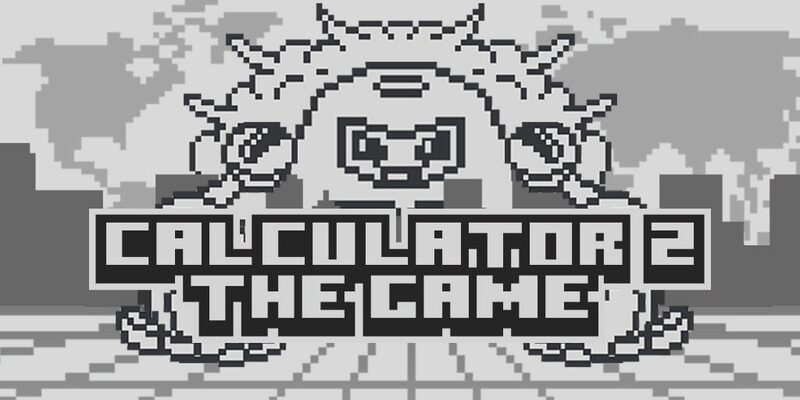 There’s too many good games out there to waste precious time fiddling with overly complicated controls. So I appreciate the simplification. Let’s talk about the supernatural aspect. I’ve always been a big fan of fantasy and Greek mythology, although more-so when I was younger. 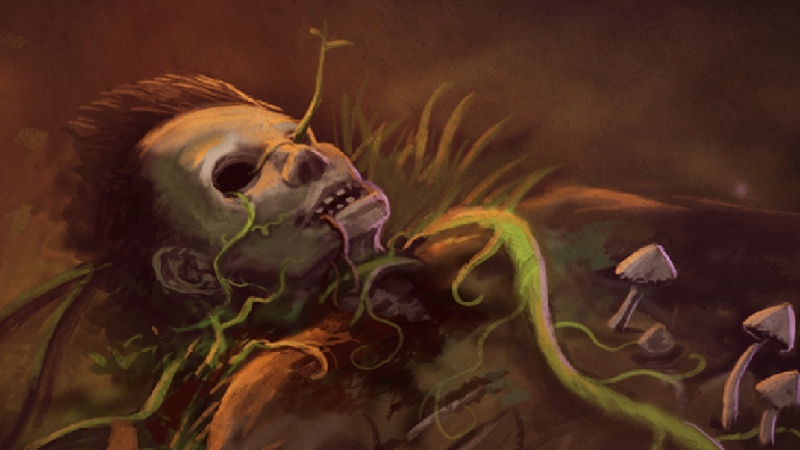 So I was familiar with some of the creatures in the game, while others from lesser-known folklore, like the banana ghost, were new to me. I liked how the game uses already-existing folklore — and from different parts of the world — but often adds its own twist. One particular tidbit that stood out to me was how to ghosts, the living also look like shapeless blobs. The supernatural rules of this universe were also laid out naturally without feeling forced or out of place. For instance, Mandana and Eli might mention a veil, which you won’t understand at first, but will get explained a short time later during a case so you understand why you don’t need to fear talking to a cop. The game even has its own name for ordinary people, like Harry Potter‘s muggles — they’re called mundanes. And any plot holes related to these supernatural rules were minor, and I’ve forgiven much worse in other games, movies, TV shows, etc. My only real complaint with the game is related to a puzzle near the very end. I have mixed feelings about it because I liked how it tied all the different missions together, and brought your decisions back into play. It was also fun to figure out — to a degree. Every time I thought I knew what to do, I messed up somewhere had had to roll back to my last save and give it another try. Most of it was straightforward, but it felt unfair to some extent, in that it expected you to have knowledge you would only have if you already tried to solve it multiple times already. Hence, it leads to trial and error instead of solving it logically. It’s especially frustrating because there was a way the game could have provided that information earlier without hitting you over the head with it. It could have been something only the most perceptive players would see, but it would have still made the that puzzle more satisfying and less reliant on trial and error. Still, it’s a minor complaint for such an ambitious work of art that hits almost all its marks. 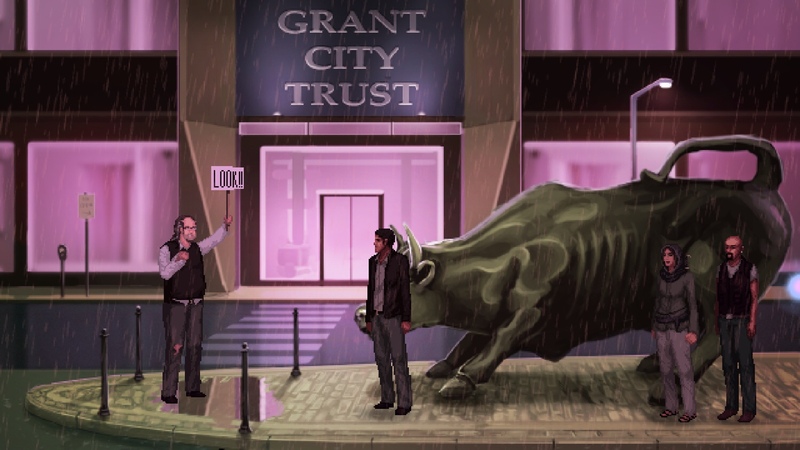 Quite simply, Unavowed is a masterpiece in point-and-click storytelling. It’s full of plenty of WTF moments and a twist I never saw coming, without sacrificing its humanity. Despite dealing with magic and fantastical creatures, it manages to stay grounded by tying everything to real life locations and providing fleshed-out characters that are easy to get attached to. And for those who care about it, there’s a ton of replay value, especially if you want to try and get all the achievements or see how each companion handles different situations. If you’re not against playing a game on a PC, this is one that’s worth taking a break from your iDevices and pulling out the mouse. If that’s not a possibility, then hopefully it will come to mobile devices so everyone can have a chance to play it, because this is a game that’s anything but mundane. And if you’re already playing and need some help with a puzzle, try my step-by-step guide.